I create colourful, uplifting paintings and facilitate workshops to encourage creativity, positivity and self empowerment. I believe everyone deserves to be happy and loved above anything else and it all starts with yourself, good food and fairy lights. I am a professional story collector, I like to drink tea and eat hot buttered toast with lashings of strawberry jam while documenting and sharing conversation, story, thoughts, and ideas with inspiring extraordinary people on what matters most to them. I’m multi passionate about so many things but art is my home, the place that keeps me sane, I need to create from the depths of my being, just like we need food and water. I am in my 40’s and finally feel like I know who I am, I am comfortable in my skin and very content with my life and for that I am so grateful. I love to inspire people to live their best lives and sometimes just find the strength to get through the day. I run a moon sisters group on fb with juicy content for like minded women. You can find me on all social media as Dotty Delightful (that’s my business) I have a shop on Etsy with the same name where I sell art, positivity magazines I write and cards. I also take commissions and write channelled love letters. I am a rainbow positivity artist and joy maker bringing colour to your life. 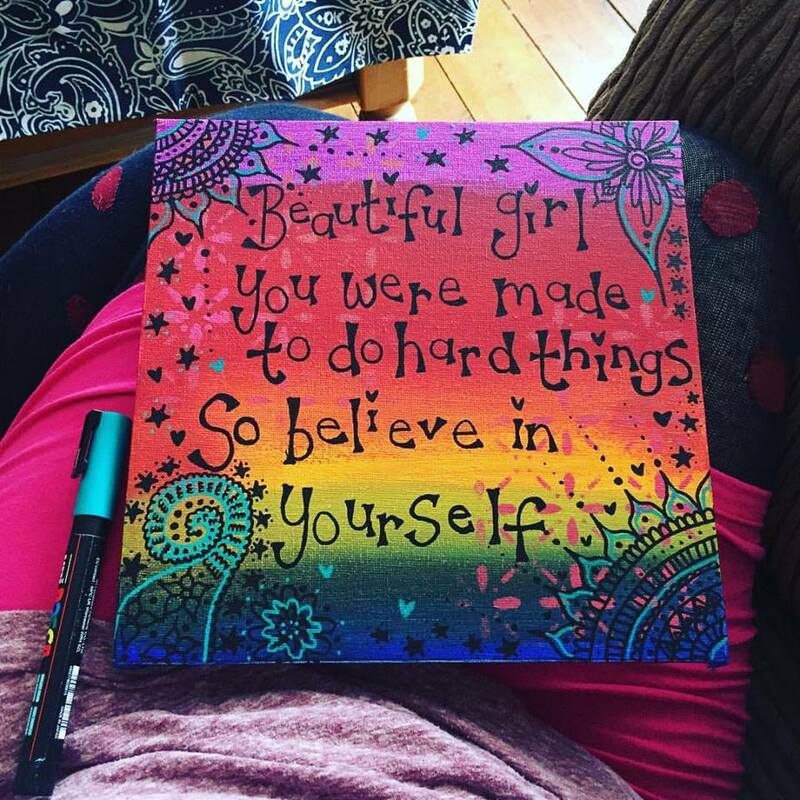 I inspire women through positivity and colour to be the happiest they can be and my mission is to fill the world with bohemian beauty Art feeds my soul, the feeling of being grubby with paint and glue on my fingers is my kind of heaven, carefuly sticking sequins on my work or sprinkling glitter makes me happy. When I create I lose myself in the moment, time dissapears and the only thing that remains is the joy and magic pouring out of my heart onto the page. I get super excited when a piece is nearly finished because I want to share it with the world. Each time someone buys something I have made, my soul sings and my heart smiles and my pet unicorn jumps over a rainbow. I love to get people to see the possibility in life, I like to plant seeds of opportunity and possibility, to get people to realise, this life of ours can be totally awesome, we can do the things we love and have flowing abundance, we can play and laugh and sing and still be amazing and grown up. Opening The Space enabled more of this brilliant stuff to happen with more people and I am super happy I get to do what I love whilst encouraging others. My name is Kane Dodgson, founder & tea drinker at Journal, a community not for profit, kind of project. A project is probably not quite the right word as that would imply that we have some kind of long-term strategy or plan with clearly defined goals and outcomes and measures and statistics and all that. Something purposefully avoided, for good reasons that I will explore at another time and space. A better description would be to explain that we are a multimedia storyteller organization and we are, kind of, but not fully that. A more detailed professional explanation would include my psychotherapy background and the therapeutic stuff going on behind the scenes. To explain our exploration into ideas and thoughts for personal and community social change with our roots in asset-based community development and co-production, but I would rather not. 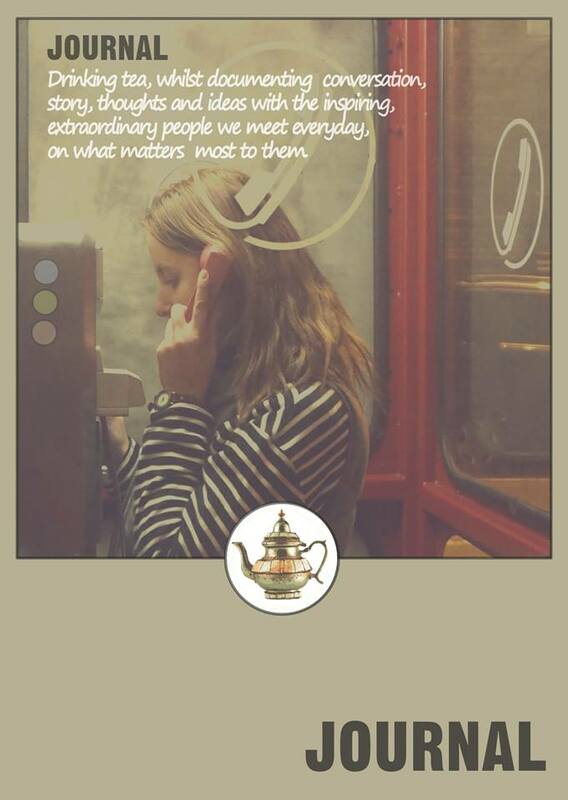 We drink tea and eat hot buttered toast with lashings of strawberry jam while documenting and sharing conversation, story, thoughts, and ideas with inspiring extraordinary people on what matters most to them. The solution to all our personal and community problems comes from within, they are buried deep inside us unheard and unseen. We can change the very nature of how we feel about ourselves and others by sharing a story from differing positions and perspectives. We can turn our stories from one of weakness to one of strength. So I mentioned we have no plan and that is true in the traditional sense. Our plan for what Journal will be and will deliver in the future is to be determined by the people we meet and those that participate in our exploration of community story experiment. In short, we will build and shape things from what we learn from sharing a story with our communities. It's my plan to share all this learning and our own reflections openly and to encourage all to add to their own and our own story through a "Working Out Loud" process. It will either work or it won't, we shall see.